Integrated with every major agency, network and DSP. 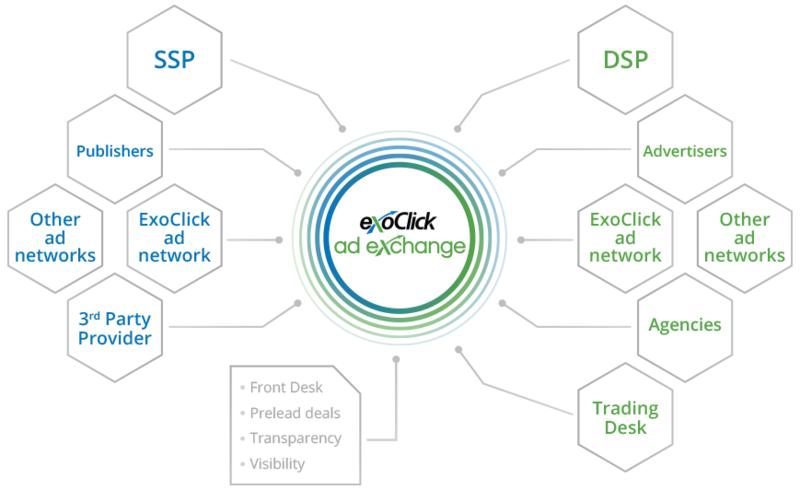 It is the only ad exchange offering access to the full demand of ExoClick's ad network. Our features make it easy to control and block specific demand sources. Seamless integration with ExoClick's ad network means all your blocking rules are automatically applied. Identify revenue opportunities across channels with full access to your inventory data. See who wants your inventory and how much they are bidding.